A traditional remedy used for generations by Māori to help aid healing of numerous skin irratations. Known to give relief to those suffering from eczema, psoriasis, dermatitis, minor cuts and burns, insect bites, and many other skin conditions. As well as Kawakawa this balm contains theraputic grade Manuka Oil, Olive Oil, Calendula Oil, Hemp Seed Oil, Beeswax and Arōha. A VEGAN option is also available. Made from Kawakawa & Manono infused Sweet Almond Oil, Cocoa Butter, Calendula infused Olive Oil, Mānuka Honey, Beeswax and Aroha. This balm will protect and aid healing of dry cracked lips . Created to help ease early signs of a cold. Best applied to the front and back of the chest as well as under the soles of the feet. Not suitable for very young babies. This balm contains Kānuka infused sweet almond oil, Kānuka essential oil, Eucalyptus Radiata essential oil, beeswax and Arōha. All Beeswax candles are made from 100% locally sourced beeswax . Pillar candles are available in two sizes. With Lemon Myrtle & Kānuka. Kopakopa & Manono infused Sweet Almond oil, Calendula, Comfrey & Rosemary infused Olive oil, Shea Butter, Beeswax, Essential Oils, Aroha. Traditionally used by Māori to soothe aches and pains.This balm can be effective for sore muscles and joints. As well as Manonō it contains therapeutic grade warming Essential Oils, Sweet Almond Oil, Hemp seed Oil, Beeswax and Arōha. Add a handful to a warm bath and enjoy soul time. Himalayan salts, Epsom Salts, Dried Kawakawa, Dried Calendula and Lavender flowers, Aroha. Goats milk soaps are excellent for all skin types, but are especially soothing for sensitive skin. 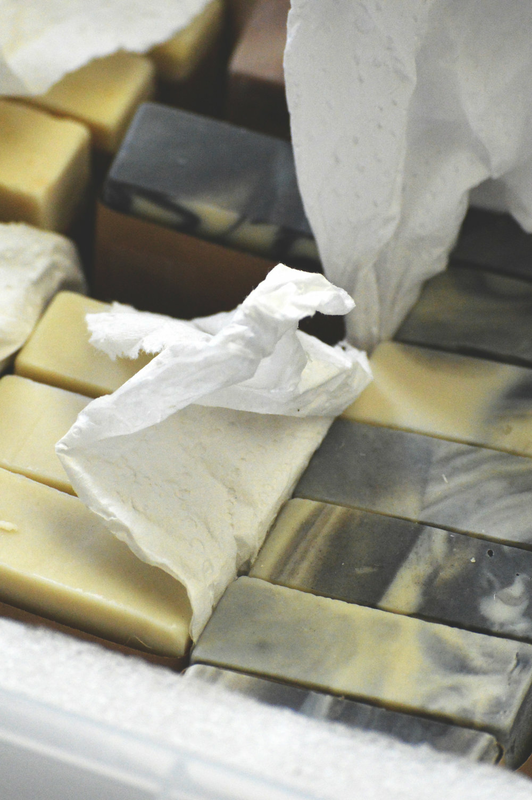 Goats milk soap is wonderfully silky smooth and moisturizing. The goats milk for our soaps comes from our own small heard of milking goats. All of our soaps contain Goats Milk, Hemp Seed Oil, Olive Oil and Essential Oils to nourish and love your skin. Other ingredients used include Coconut oil, sustainably sourced Palm Oil, Cocoa Butter, Castor Oil, Clays and Dried Herbs.